After the accident, Remy found it necessary to leave tiny Bigelow, Connecticut. The town was so small that everyone knew him, but no one, not even his mother, would talk to him. 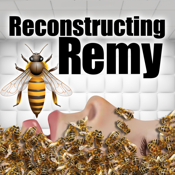 Music became Remy’s love and his life, and he pursued it with a single-minded purpose until he met a brilliant, driven woman who demanded his attention and love. Torn apart by a past filled with secrets he couldn’t face, and a crumbling future that seemed inevitable, Remy did the best he could. From the creators of "The Art of Murder" and "Grok the Monkey" comes a unique experience — an interactive, full-length novel for adults, whose chapters can be read in any order. For sample chapters, please visit our website at flexibletales.com!